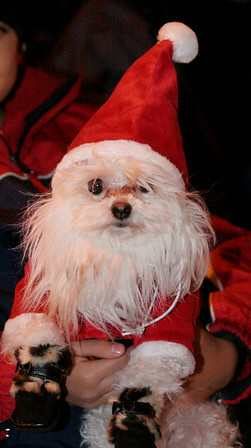 Everyone dress for the holidays, including the dog! 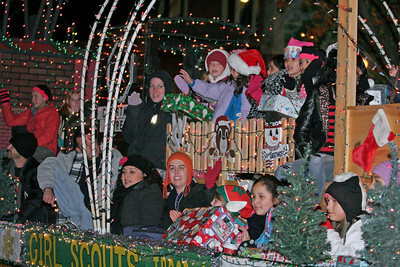 The Girl Scouts float at the Exeter Christmas Parade. 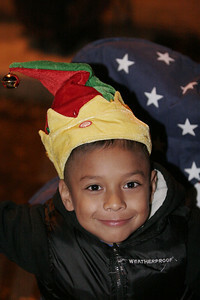 A young child awaiting the start of the Exeter Christmas Parade. 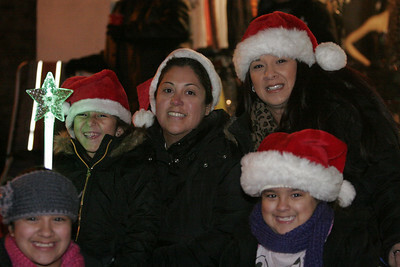 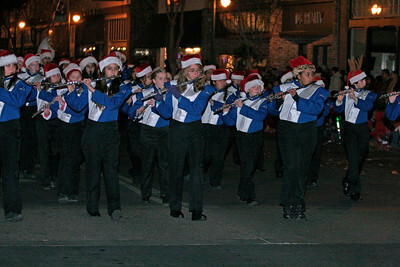 Wilson Middle School band marches during the Exeter Christmas Parade. 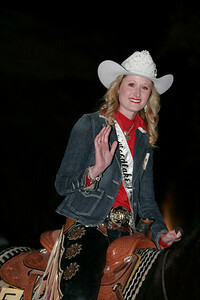 Wooklake Rodeo Queen for 2013 Amanda Lawrence at the Exeter Christmas Parade. 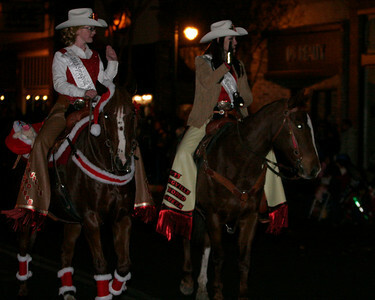 Springville Rodeo Princess Willow Werlhof (l) and Rodeo Queen Jada Lindegren (r) riding in the Exeter Christmas Parade. 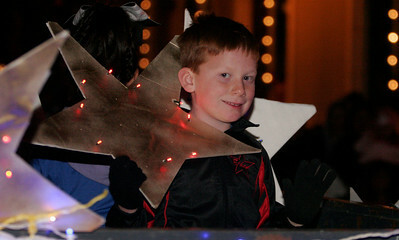 A participant in the Exeter Christmas Parade. 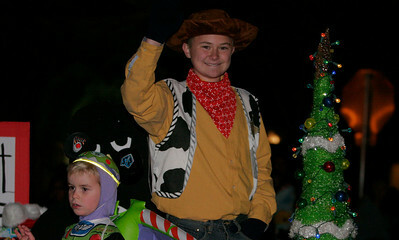 "Woody" from Toy Story waves at the crowd of parade watchers at the Exeter Christmas Parade. 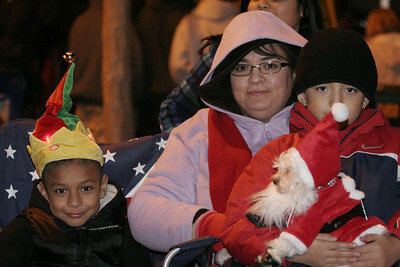 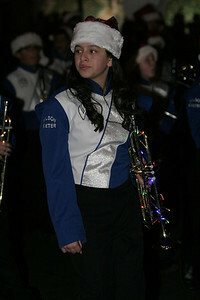 A Wilson Middle School band member with a decorated trumpet at the Exeter Christmas Parade. 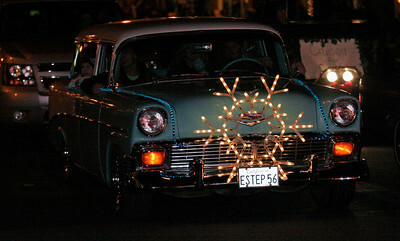 The Cruzin for Cash car group which is raising money for cancer victim Cash Shanks participated in the Exeter Christmas parade. 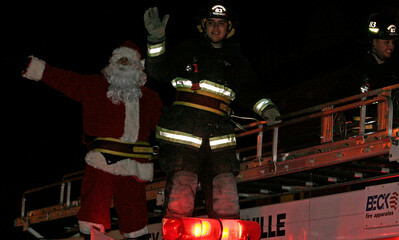 Santa Claus arrives at the Exeter Christmas parade atop an Exeter Fire truck.